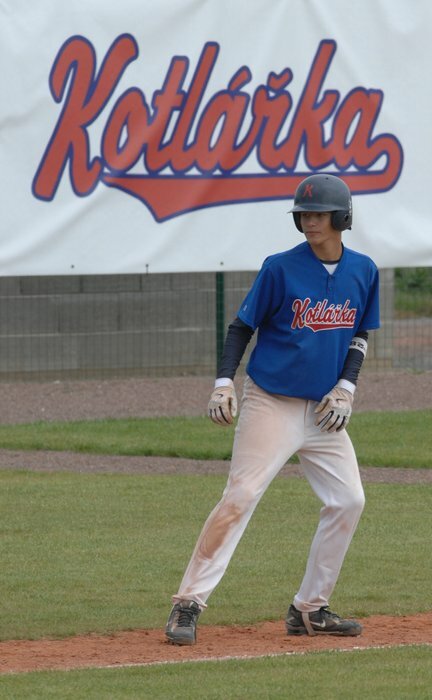 The 17-year-old catcher Martin Cervenka from KOTLARKA PRAGUE signed a standard seven-year Minor League contract with the CLEVELAND INDIANS on January 24th. He becomes the first European Baseball player to sign with the Major League organization. In 2008 Cervenka played for KOTLARKA in the second division in the Czech Republic, but also made a few appearances for the TEGOLA TITANS PRAGUE in the Extraleague. He batted .214 in six games. To continue his development he and the INDIANS agreed on an individual plan, which allows Cervenka to play for KOTLARKA during the 2009 season. He would like to thank all his coaches with KOTLARKA, the TEGOLA TITANS and the national teams to prepare him for his future professional career.